Now we have 100% acrylic paint with many advantages! Although acrylic house paint isn’t for every job, it is the most appropriate paint for many projects. Plus, the list of advantages is very impressive. Strong adhesion to a wide range of materials, when properly primed. These include exterior and interior wood, masonry, metals and some plastics. Flexible, able to expand and contract without cracking or splitting. Cracks can allow water beneath the paint film, causing peeling. Breathable, allows excessive moisture to escape without causing blistering or loss of adhesion. Resistant to mildew. Many brands have anti-mildew chemicals incorporated into the paint. Superb color retention. Able to resist the effects of the sun and UV longer than oil base paints. Touch-up is easier. Doesn’t show a shadowing or difference in sheen as severely as oil base paint. Dries very fast. Allowing a second coat to be applied sooner. Low VOC’s. Very low odor when compared to alkyd finishes. Especially important when painting an interior room. These are convincing advantages when compared to other house paints. Acrylic paint has some disadvantages too. The foremost disadvantage is the application over multiple layers of oil base paint. The ability of the paint to stretch can tear or loosen the layers of old oil base paint. Damage to wood siding and premature peeling can occur during this process. This can occur to older homes. 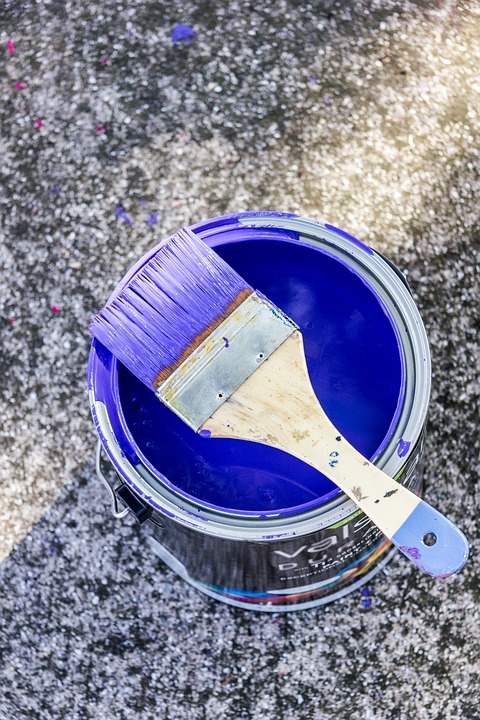 Because of this problem, older homes should be painted with alkyd paint instead of acrylic. Another drawback is the paint doesn’t flow as well as oil base. This has a tendency of showing brush marks. The use of an acrylic enamel and paint conditioners can lessen this effect. Finally acrylic paint isn’t as hard as oil base when fully cured. Usually this isn’t a problem, but scuff marks and damage can occur on high traffic areas. This is especially true for interior wood trim, such as base and door casing. Even with a few drawbacks, this finish is capable of out performing the standard latex and alkyd paints on almost all painted areas. Especially recommended for exterior use due to its ability with stand the effects of the sun and weather. In order to achieve all the benefits, always choose a 100% acrylic paint and combine it with a good primer. Buying the best will save a lot of money and labor in the future.